Whenever you think of the name Optiv, a few things spring to mind. Quality, versatility and a habit of producing simply big tracks. Since he first started releasing music over a decade ago, Optiv has always had a reputation for putting it all out there, and has received deserved acclaim as an individual who represents only the best in drum & bass music. Blending deep, dark and serious vibes, Optiv always exudes an air of professionalism and extremely high production values. His music expertly matches the light with the dark, with a considered and deadly approach. 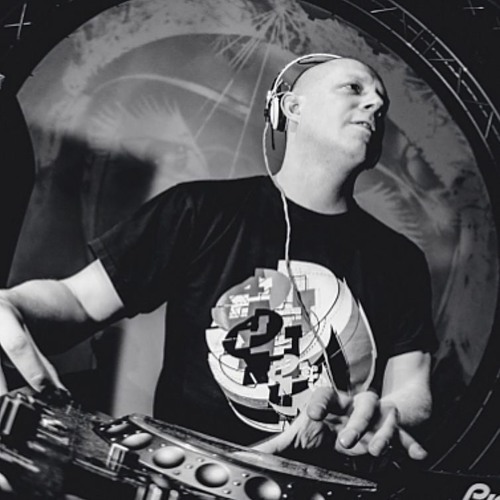 His releases have been on practically every label at the upper reaches of d&b (think Virus, Shogun, Renegade Hardware, Playaz, as well of course as C4C Recordings), and, in the various guises in which he has recorded, has touched the four corners of the globe in terms of both production and DJing. It is no surprise that Optiv, along with partner in crime CZA and the wider Cause4Concern collective are so widely respected and held up as innovators in the d&b game. Known for his techy, rolling flavours, experi-ence and knowledge shines through in everything Optiv does. As Cause4Concern emerged in the late 90s, so arose to the considerable talents of Optiv. The prolific producer has been changing the face of d&b since then, releasing on over 20 different labels, in many different styles. Every time, however, the impact has been the same, and his standing in the industry and amongst fans is second to none. Taking into account his own imprint, Red Light, and the not-inconsiderable work of C4C, his star has never shone brighter. His critically acclaimed work with BTK over the past couple of years was the result of a serious amount of collaboration, and included the spectacular Dirty Tricks LP on Virus. But being one not to rest on his laurels, Optiv is picking up the baton once again, with forthcoming releases along with soul brother CZA set to shake things up once again. New music from Optiv & CZA on Med School, Subtitles and a host of other labels is eagerly awaited by those in the know. In addition, a new EP on the C4C label will once again remind discerning ears of the technique, flow and overall appeal of Optiv’s masterful productions. Experience is mixed with innovation, and new and radical ideas are never far away. Whether it’s world building, the creation of aural atmospheres or just low down dirty grooves, Optiv can and does deliver. The new tracks will continue the rich vein of quality, far-reaching and forward thinking music for which Optiv has been rightly lauded. From the punch of the snare, to the boom of the bass, Optiv has it all covered. For the finer side of drum & bass music, check out Optiv.